The residents of the four-storey building that collapsed today in Mumbai's Ghatkopar have alleged that the mishap took place because of the renovation work being carried out at the first floor. The renovation work was undertaken on ground floor nursing home reportedly owned by Shiv Sena leader Sunil Sitap. "There was a renovation work being carried out in the building. There was a nursing home, named Sitap Nursing Home, at the ground floor of the building which is owned by a man Sunil Sitap, who is a local Shiv Sena leader . A meeting of residents was also called last night opposing this renovation work," said a resident. 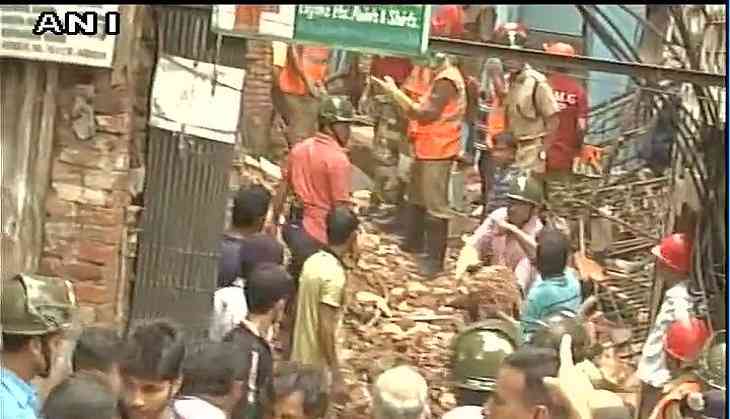 However, the BMC officials are yet to ascertain the reason behind the collapse. "We will investigate the matter and take action against the culprits," BMC Mayor Vishwanath Mahadeshwar said. Meanwhile, former housing minister and ex-chairman of Maharashtra Housing and Area Development Authority (MHADA) Sachin Ahir has demanded an FIR under Section 304A (Causing death due to negligence) against the responsible. Furthermore, Congress leader Praveen Chheda, the ex MLA from this constituency, has said that the onus of compensating for the mishap lies on Sitap. "Property belongs to Sena's S. Sitap. He was running a hospital on the ground floor and was now going to run a guest house. The onus lies on him," he said. At least five people have been killed and more than 30 are feared trapped after the four-storey residential building collapsed in Mumbai's Ghatkpopar on Tuesday. Eight fire engines were rushed to the spot. A rescue van along with 108 ambulances also reached the spot. IPL 2018: RCB और KKR के फैन्स के लिए बुरी खबर, मुकाबला हो सकता है रद्द!